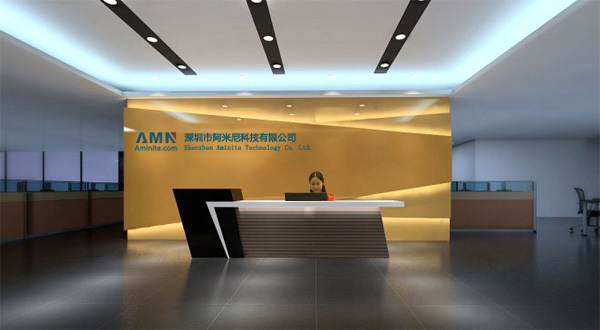 Located in Shenzhen, China, Aminite Technology Co. Ltd. science and technology is an high-tech enterprise, which has been committed to designing, manufacturing and selling products in passive fiber optical components. Our company owns a high-quality scientific research team with reasonable member structure and powerful technical force. Our teams always devote ourselves to track development and application of the newest optical communication technology in the world. Our marketing team keeps close contact with customers, meets with various requirements of the customers and provides the most satisfied after-sale services. Our products have become a mainstream tool for various network systems as they feature high precision, low insertion loss, and strong environmental stability. Our components are widely used in fiber communication, medical treatment, aerospace, the military industry, and other fields. We have more than 3,000 square-meter facility area and over 110 experienced workers.Our company has an annual production capacity of 10 million terminations of fiber optic patch cord, 30 million fiber optic adaptors, and 300 thousand fiber optic attenuators. We have our own factory in China, all the products are shipped directly from the factory, no middlemen earn price difference, and the delivery speed is quite fast, we will give you a has more advantages than other fiber optical supplier price. With over 10 years of focus on connectivity and passive optical components,Aminite has a number of patents, and put together a group engaged in communication industry for many years, with rich professional knowledge, high-quality technical talent, Aminite also has advanced optical fiber and cable processing equipment, precision processing equipment and highly reliable testing equipment. We began our business in optic communications in 2006, and soon became an international corporation. Our products of company extend all over the world and find a good sale in America, Canada, Israel, Malaysia, Spain and etc. Working together with FedEX, DHL, UPS, TNT, and many other well-known international express companies, we can assure you that your purchase will arrived on time, whether it is a small order or a mass production. Complete drawing design, mold development, and OEM services are also available. We cooperate with customers from all over the world, including HUAWEI, ZTE, China Mobile, China Unicom, Chinese China Telecom, Reliance, FPT, STC, YOFC and so on; we hope to cooperate with all partners of sincere cooperation, join hands to build a better tomorrow! We have been maintained the principles of “Efficiency first, Integrity first” since we started, Nowadays, our products are widely used in the Telecom Operators, First class domestic enterprises, we also received the positive feedback and trust from them..
We carry the Modern Enterprise Management, have been engaged in researching and developing communication products for years. We have a strong team of R&D, with the positive mind of seeking the high-tech. 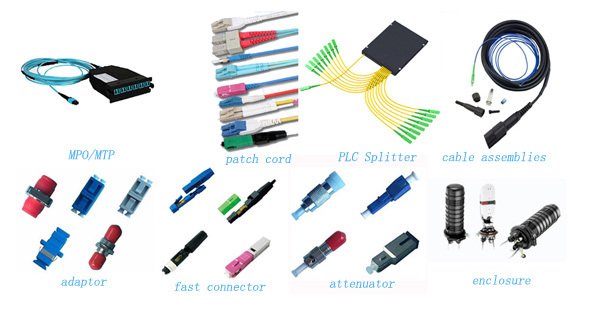 now we are one of the pioneers in the communication industry, maintaining the patents in Fused type field-assemble optical fiber connector etc. With the culture of “Integrity, Innovation, Service”, we have been providing the clients of high quality products and services. We will keep pursuing and developing the advanced fiber optic technology, with imported equipments and superior high-tech, we definitely will move to the higher level. Consistent service with Integrity, Bright future with AMINITE together!